The San Francisco Giants are in town, playing the Los Angeles Dodgers at Dodger Stadium. Today’s blog will look at the signing habits of their team. Tim Lincecum – He is on the quiet side but very nice. Takes him time and gives a quality signature. Two Cy Young Awards haven’t jaded him. Matt Cain – A fantastic signer! Mr. Cain is a very gracious and willing signer. Barry Zito – He has always been a good signer and loves to interact with his fans. He isn’t a good as he used to be but is still excellent. Brian Wilson – He is perhaps the strangest looking man in baseball but, is a good signer. He doesn’t say much but will sign when asked. Pablo Sandoval – The Panda has really lost a lot of weight. I mean a lot! He looks totally different, in fact, I almost didn’t recognize him. At any rate, he did sign two items for me. Buster Posey – This superstar in the making is also a superstar signer. He signed one item for me and about another dozen collectors. Aaron Rowand – This former White Sox is a super nice person and a great signer. He is really as nice as they come. 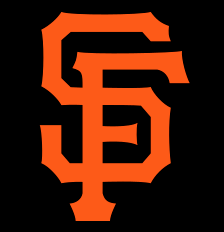 Bruce Bochy – The Giants manager is a very willing and gracious signer. He will sign multiple items if asked. I didn’t bump into everyone on the team but, all in all the current World Series Champs are great signers. This entry was posted in Uncategorized and tagged Aaron Rowand, Brian Wilson, Bruce Bochy, Tim Lincecum. Bookmark the permalink.